Take these steps to keep hidden pesticides, herbicides or other toxins out of your compost and your garden. 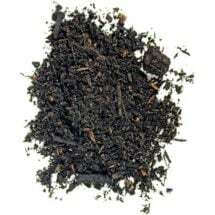 Compost feedstock contains numerous and diverse active microorganisms, all with their own characteristics and capabilities. This diversity means a greater chance that a pesticide will encounter a microbe that can degrade it. – Persistence and Degradation of Pesticides in Composting (PDF), California Integrated Waste Management Board, 2002. 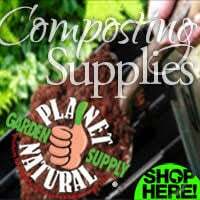 No organic gardener wants to introduce pesticides, and to have them arrive via compost would seem like the ultimate betrayal. Even if they do somehow get into your pile, many pesticides of all kinds — herbicides, insecticides, fungicides — break down into harmless chemicals during the composting process. But some, including several that have become increasingly common in recent years, do not. During the composting cycle, pesticide levels in the feedstock (the material that went into the pile) are reduced by a variety of processes. Some toxins decay into simpler molecules. Some form bonds with other compounds (adsorption). Some volatilize, or escape into the atmosphere. Some leach from the pile, draining away with liquid run-off. Some undergo humification, becoming part of humus molecules. And some undergo mineralization, which Ohio State University Extension (PDF) calls the most “desirable fate” for pesticides. 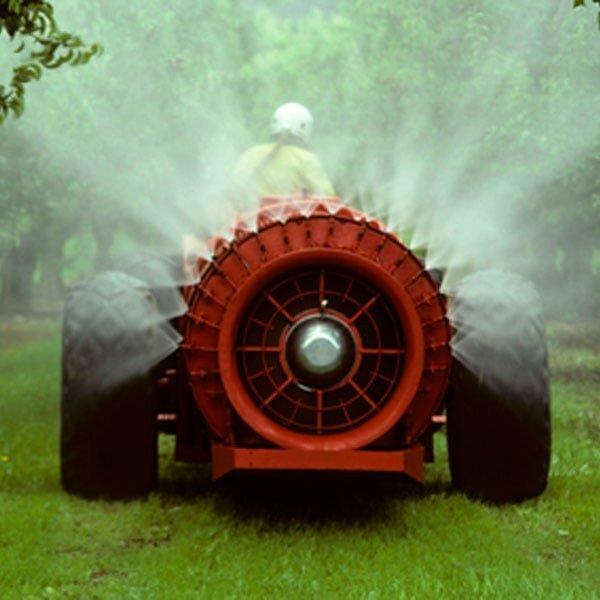 Mineralization, the preferred end for pesticides, refers to the breakdown of organic compounds into their inorganic (or mineral) and organic constituents. The remaining organic constituents that contain carbon breakdown further into a variety of simple molecules that include carbon dioxide and water. 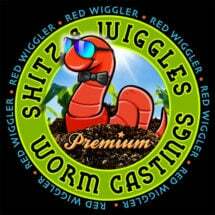 The CO2 volatilizes, or evaporates, the water joins the soil solution, and the inorganic, or mineral part of the pesticide molecule takes its place in the soil environment. The result is that the pesticide has been permanently transformed into non-toxic molecules. When the Ohio State Extension Office says that “The most desirable fate [for pesticides] is complete ‘mineralization’ or complete biodegradation to CO2,” it does not mean that the pesticide turns into carbon dioxide. Instead, the carbon in the pesticide eventually bonds with oxygen to form carbon dioxide which then evaporates. Though all of these processes reduce the concentration of pesticides in the compost pile, not all of them are good for the environment at large. Leaching and volatilization merely move the pesticide away from the pile without changing it substantially, and decay does not always result in less toxic compounds. Adsorption of pesticide molecules to organic compounds can immobilize them, but only as long as that compound persists. This process renders them bio-unavailable, which sounds like a good thing since it means they can’t react with anything in the human body. The problem is that they also can’t react with, or be broken down by, the microbes in the compost pile, so they retain their toxic identities. If the compound to which they bind breaks down (and many do) then the pesticide is released into the environment again. After the environmental disaster that was DDT, chemical engineers developed pesticides that did not persist in the environment as had DDT and other organophosphates. These efforts were so widely successful that it now comes as a shock to encounter a pesticide that, like the earlier generation of chemicals, resists degradation. Here’s your best weapon in the War on Weeds. 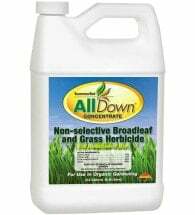 AllDown® Organic Herbicide — a 20% vinegar weed killer, plus citric acid — is a safe alternative to RoundUp® and other nasty herbicides! Approved for organic use, this effective spray has been tested against the big-name products with great results. But that review, so massive that it was published in two parts, was completed in 2000 before the herbicide Clopyralid came into common use. Marketed under a wide variety of names including Reclaim, Stinger, Transline, Confront, Lontrel, Curtail and Millenium Ultra, clopyralid resists breakdown in compost, in soil, and in animal guts. Cattle that eat clopyralid-contaminated feed excrete it unchanged. It is also very mobile in both water and soil, meaning that it can end up in waterways and will follow them to reach areas far from where it was originally applied. In other words, it could end up in your garden and hence in your compost even though you never used it. However, it is extremely toxic at very low levels to members of the Leguminosa family (pea and bean), the Solonaceae family (potatoes, tomatoes, eggplant) and the Composita family (sunflowers, asters, dandelions, daisies). 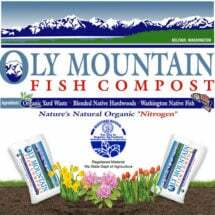 It became infamous after two instances of crop damage in Washington were traced to clopyralid-contaminated compost (see What’s In Commercial Compost?). Several states have now severely restricted the use of clopyralid. Because it persists in the environment for so long, it will be with us for many years, though in increasingly diluted concentrations. Nerves often don’t connect directly to other nerves, much less to the muscles to which they need to convey information. Usually, a small gap, the synapse, separates the nerve carrying the message from the nerve with which it needs to communicate. When an electrical impulse reaches this gap, the nerve carrying the message releases a tiny quantity of a chemical called a neurotransmitter, which allows the impulse to cross the gap. As soon as it does, another chemical destroys the neurotransmitter so that the message is sent once, not repeatedly. If something interferes with the function of that second chemical, nerve impulses can fire over and over, leading, for instance, to seizures. Acetylcholine is one such neurotransmitter found in the central nervous system (the brain and spinal column), the somatic nervous system (which controls voluntary movement), and the autonomic nervous system (which governs involuntary systems such as digestion, perspiration, respiration and so on). Acetylcholine is crucial to functions throughout the body. 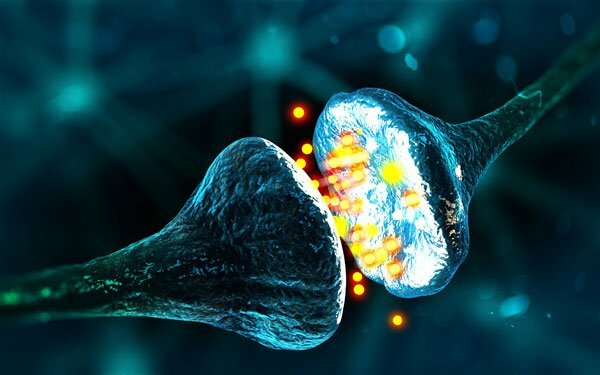 After the neurotransmitter acetylcholine closes a synapse and forwards an electrical impulse to the next nerve in line, the enzyme cholinesterase breaks it down, re-establishing the gap between the two nerves. Cholinesterase inhibitors such as organophosphates interfere with the formation or function of cholinesterase, keeping the connection between nerves open. Interestingly, the same type of chemicals that cause serious problems in healthy people can actually help some conditions. In Alzheimer’s disease, the nerve endings stop supplying adequate amounts of acetylcholine. This makes it harder and harder for messages to leap the gaps between nerves and harder for messages to get anywhere. It becomes increasingly difficult for the brain to communicate with the muscles or for it to store or retrieve information, which accounts for the well-known problems with memory. The problem in Alzheimer’s is too little neurotransmitter. That’s why some Alzheimer’s drugs are cholinesterase inhibitors which cut back on the enzymes that break down acetylcholine. Though we tend to think of organic materials as benign, it is precisely the “organo-” part of organophosphate that enables these chemicals to trick the body into accepting them. Our bodies are no stranger to these chemicals. They play a crucial part in every cell: DNA and RNA are both organoposphates. 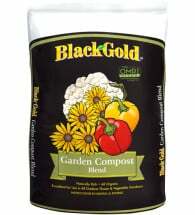 The most obvious route by which pesticides get into compost is through the composting of pesticide-treated plants. Over a hundred Canadian cities and towns, as well as several provinces, have passed laws that restrict the use of pesticides making their compost reasonably safe from pesticide contamination. 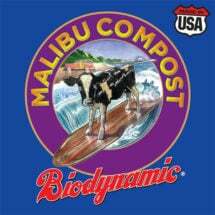 American composts, particularly municipal composts, are not pesticide-free. While many municipalities throughout North America no longer routinely apply pesticides to public land, private householders throughout the United States are still free to apply synthetic pesticides. Since most municipal composting programs accept material from all comers, this means that much municipal compost may be contaminated. How much remains in the compost depends largely on how contaminated the feedstock (composted material) was, and by what. The composting process also makes a difference. Clearly, if clopyralid was used extensively in or near your town, municipal compost may contain significant residues. High temperatures, thorough turning, and long composting periods all help to give microbes their best shot at pesticides, thus reducing the amounts that remain in the finished compost. Manures can also contain pesticide residues if the animals that produced them are fed treated feed.